Sep 21 2018 07:24 AM Trailer Park Boys corner. Nov 16 2012 05:59 PM Broken or incompatible map? Nov 16 2012 04:06 PM Broken or incompatible map? 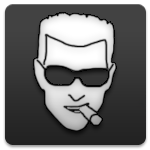 Mar 01 2012 04:54 PM Duke Nukem 3D 1.0 demo?